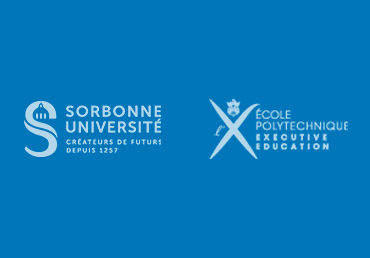 Sorbonne Université Continuing Education and Ecole polytechnique Executive Education have joined their expertise in Science to offer the Financial Engineering Degree for executives. What is "The Executive Degree in Financial Engineering" ? What are the executive degree main targets ? Who does it target ? When does it start ? Executive version of the famous Parisian degree in financial mathematics. Taught by an educational team from the leading French universities : Ecole polytechnique and Sorbonne Université. Focus on acquiring, completing and updating your knowledge in Mathematical, statistical and numerical methods for Financial markets, accounting the recent developments of data science and articifial intelligence contributions. Understanding the emerging issues of Quantitative Finance in connection with the regulation and economic upheavals (XVA : high-frequency trading, blockchains, cryptocurrencies , negative rates, multivalued rate curves, etc.). Numerical methods for simulation/optimization as well as their parallel implementation (GPU). Statistical tools for calibration, high-frequency trading and automatic investment strategies. Financial Engineering for Investment and Fintech. > Unit of skills 1 : Financial Engineering : Fundamental tools and methods. > Unit of skills 2 : Financial Engineering : Advanced applications. Lien vers Save the date ! The Continuing education department of Sorbonne Université offers its expertise to companies wanting to implement tailor-made courses for their employees at a given time. This dedicated training programme will help you solve many issues, taking into account your professionnal background, your pedagogical expectations as well as your organisational needs. Our courses are both relevant (tailor-made programmes and course materials) and flexible (you will choose the location and the class schedules), with reduced fees compared with the registration of several trainees for one of the courses of our catalogue (the fee covers one day of training for 10 to 15 participants). Ecole Polytechnique Executive Education operates and organises Ecole Polytechnique’s executive programs. It’s build on L’X distinctive multidiciplinary approach on high level academics and leads the growth of people and companies. As of today Ecole Polytechnique Executive Education offers more than 130 executive programs : from Executive masters, certificate programs and short focused programs to tailor-made programs for leading french and international companies. In 2017 more than 2000 persons have followed a Ecole Polytechnique Executive Education program.